Being in a neat, bright office environment can not only increase productivity, but can also improve the atmosphere in the office. 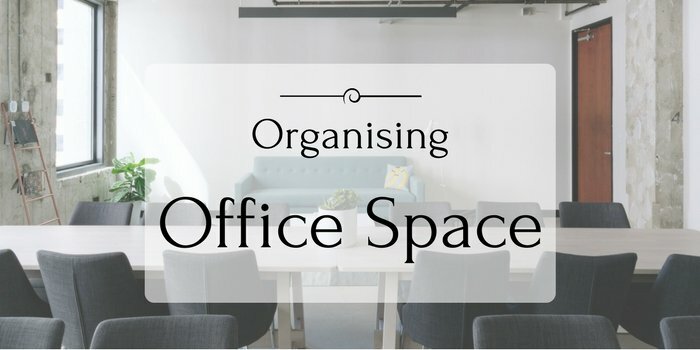 It’s easy to organise and create an inviting working environment. Here are some very simple steps you can take to improve your working environment and boost your productivity. You don’t need a massive budget for decorating your office space. There are a few small things you can do to add colour and character to the environment. Strange as it might sound, there is evidence that opting for circular or curved office furniture can encourage collaboration. These round shapes have no beginning or end, suggesting completeness. Having furniture with squared edges inspires more individual working. Circular furniture is also softer on the eyes. Bright colours can inspire creativity and improve the mood in the office. It is not always possible to paint the walls of your office, especially if you are renting, but there are other ways to brighten up the area. Adding colourful artwork is one way to brighten the space, while also boosting creativity. Funky and colourful office stationary can also improve happiness within the office and help to create a fun environment. Adding an array of ornaments and fun little additions is another way to interject some colour and personality to any office space. It can be something brand-related, like a mascot or just something that fits well with the space. Giving each employee sufficient space is an important part of keeping a calm and stress-free working environment. If you are already in a small office then it is best to keep the amount of furniture to a minimum. Only buy the essentials, including enough desks for everyone, a kitchen area and if possible a small area away from desks where people can work. Dotting plants around the office can help to filter the air in the office. With many offices not always having the option to open windows, plants are a great way to make the air feel fresher, but most importantly, they brighten up the office and research has shown that they can help reduce stress. Having your own dedicated working space can bring you a lot of comfort. Being able to customise and personalise your space can make it feel more welcoming and homely. Hot desks can be a great addition to not only a large company but also for a small one. They allow you to have a change of scenery every so often, which can increase not only creativity but also productivity. It is important that you take a break away from your desk, hot desks give you that ability while also being able to continue working. It isn’t always possible to have a dedicated space where you can step away from your computer screen and relax a little, but utilising a small space by adding a few comfy seats can help to give you some time to recharge. Cluttered desks can cause cluttered minds and mean you are not able to focus as well as you possibly could. Having a day once a month where everyone in the office declutters their desks can not only add more space to the office area but you might also find a document you lost a while back. There are those, however, for whom the phrase “an empty desk is an empty mind” also applies – so don’t enforce a policy that isn’t good for everyone. Some creative minds appreciate a bit of clutter, and work better in this kind of environment.